Robina Sommers was born and raised in India. She graduated from Woodstock School, located in the foothills of the Himalaya, and came to the United States for college. She graduated from Hesston and Goshen Colleges with degrees in elementary education and piano pedagogy. She earned a master’s degree from Indiana University, was trained as an intermediate Literacy Collaborative® coordinator at Purdue University, and received her high ability teaching license from Ball State University. Robina and her husband have two children, both of whom went through the high ability elementary program here at Chandler Elementary. 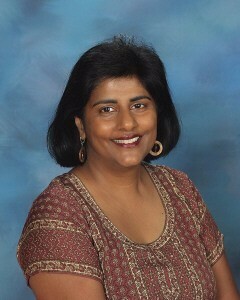 Robina is passionate about meeting the academic as well as the social and emotional needs of high ability students. Pat is a alumni of Goshen High School with a B.A. in Elementary Education from Manchester College. She taught general education classes for seven years in Richmond Community Schools, Richmond, IN. 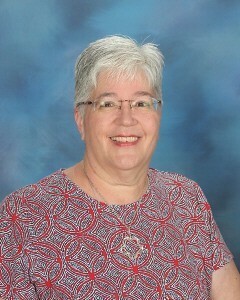 She also was director for four years and was director/teacher for eight years at Eighth Street Preschool in Goshen. Pat served as Coordinator for Gifted Education for Goshen Community Schools (GCS) for three years and has taught gifted (now called “High Ability”) students for the past fifteen years. Prior to teaching for GCS, Pat served for five years as a parent representative to and secretary for the Broad-Based Planning Committee for Gifted Education for GCS as both of her daughters went through the gifted classes. She is a member of National Association for Gifted Children (NAGC) and National Council of Teachers of Mathematics (NCTM) and regularly attends state and national conferences on gifted education.